These are super easy to make (assuming you have the ingredients) and food processor. 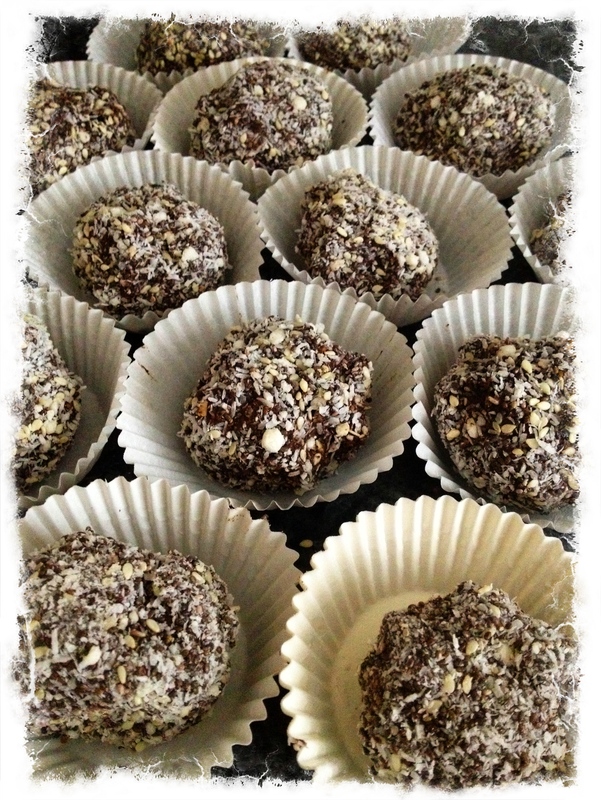 They are broadly based on a ‘Thrive’ recipe – a fantastic book by Brendan Brazier. 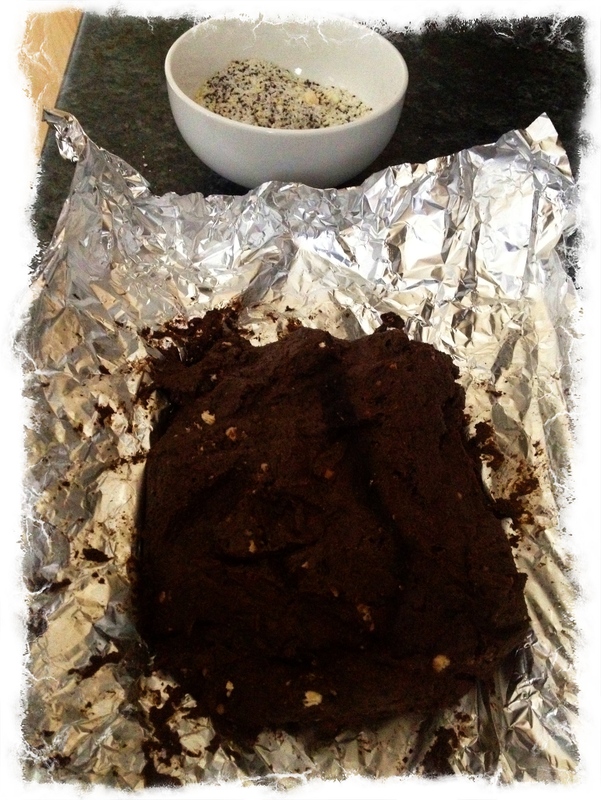 – some coconut, sesame seeds, chia seeds for ‘construction’! Other than the final ingredients above, process all in a food processor. I generally blend until smooth so I’ve less to chew on when running. You can keep it slightly chunkier of you prefer, or add some oats or millet flakes after blending. As you can tell I’m not too strict on measurements, so just go by feel. If the mix looks too ‘wet’ add some dry stuff, too dry add some fruit or lemon juice. Once done I put the mix into the fridge for a few hours to let it set a little. Mix some dried coconut, sesame seeds and chia seeds in a small bowl for the final bit of mess. Take the mix from the fridge and take a spoonful, roll into a ball then drop it into the small bowl and ensure it’s well coated. It’s then good to put them back in the fridge again. I keep some there for a few days and wrap the others individually and put in the freezer. I can then grab them when I need them and they’re normally fine to eat direct from there. You can of course shape into bars if that’s what you prefer. That’s it. No cooking required, just some great easily-digestable nourishment and energy for on the move. Strongly suggest experimenting with different fruit, nuts etc. Ginger is good especially with pear. No need for the carob (choc) either.